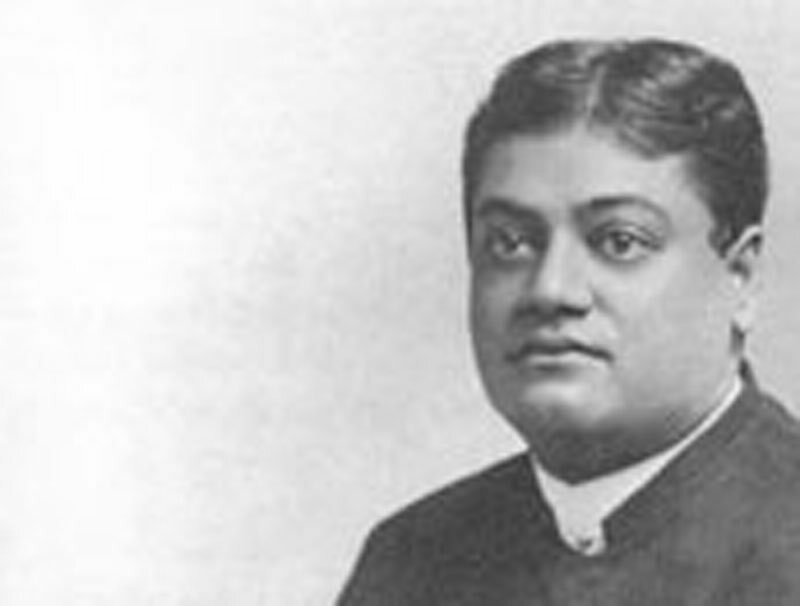 The claims of the Brahmin religion, or Vedantism, on the modern world were presented to-night at the Congress of Religions in the First Unitarian Church by Swami Vivekananda, a remarkably eloquent expounder of that faith. . . .
To his auditors to-night he explained Vedantism as the religion of the Vedas, or ancient Hindoo books, which, he asserted, is "the mother of religion." but by the Vedas no books are meant. They signify the accumulated treasury of spiritual laws discovered by different persons in different times. The Hindoo believes he is a spirit. Him the sword cannot pierce, him the fire cannot burn, him the water cannot melt, him the air cannot dry. He believes every soul is a circle whose circumference is nowhere, but whose center is located in a body. Death means the change of this center from body to body. We are the children of God. Matter is our servant. Vedantism is a sort of rebellion against the mockery of the past. Some men are so practical that if they know that by chopping off their heads they could get salvation, there are many who would do so. That is all outward; you must turn your eyes inward to learn what is in your soul. Soul is spirit omnipresent. Where does the soul go after death? Where could the earth fall to? Where can the soul go? Where is it not already? The great cornerstone of Vedantism is the recognition of Self. Man, have faith in yourself. The soul is the same in every one. It is all purity and perfection and the more pure and perfect we [you] are the more purity and perfection you will see. A man or preaching jack who cries, "Oh Lord, I'm only a crawling worm!" should be still and crawl into his hole. His cries only add more misery to the world. I was amused to read in one of your papers, "How would Christ edit a paper!" How foolish. How would Christ cook a meal? Yet you are the advanced people of the West. If Christ came here, you would shut up shop and go into the street with him to help the poor and downtrodden. Vedantism is the only religion that can be taught without lies, without stretching the texts, without compromise.